Lately, Nate and I have been working opposite schedules…he works 2pm-12:30am and I work 8am-5pm. During our first year of marriage, I would actually wait up until he got off so I could catch up with him. Now, not so much…I am just too tired from my job and I don’t expect him to get up early to catch up with me! What is working right now is me coming home for lunch. We have realized the crazy hours are normal and expected if you are a chef, so you just have to get over that! No sense stressing and complaining over something you can’t change with out completely switching careers. We just focus on the time we DO get to spend together, and forget about the time away. So these past weeks, casseroles have become my best friends! This casserole combines simple ingredients to give you a whole new flavor to experience. I have honestly never had any dish that tasted quite like this casserole. This casserole is definitely sweet & savory and it is a nice break from your usual enchilada casseroles. 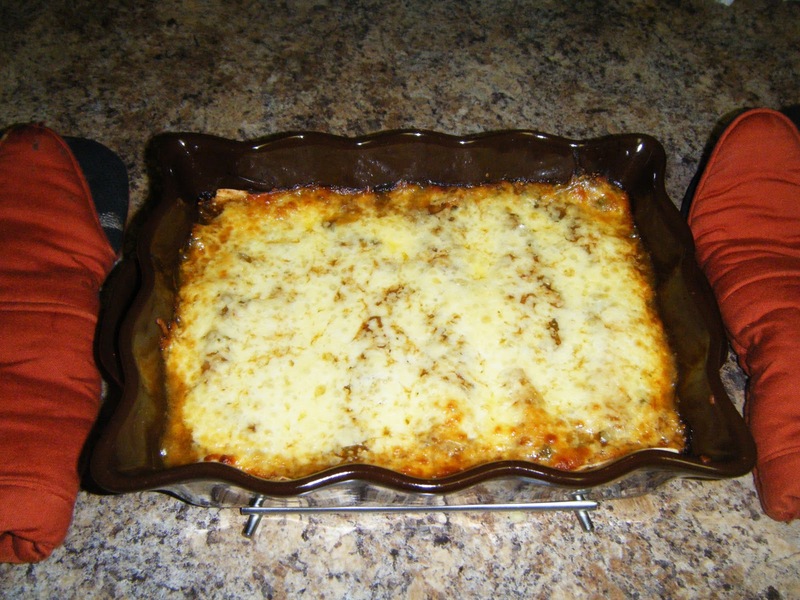 The hardest part about this recipe is not eating all of the cheese while you put it all together! Mix the honey, lime juice, chili powder, and garlic powder together in a bowl, and add the shredded chicken. Cover the mixture with plastic wrap and marinate in the fridge for at least 1/2 an hour. Preheat your oven to 350 degrees. Spray non-stick on a 9×13 casserole dish (if you use a smaller dish, you can freeze the extra chicken for a quick meal later on), then pour just enough salsa verde on the bottom of your casserole dish to make a thin layer of sauce. Fill each tortilla with a small handful of chicken and cheese, roll up, and place in the casserole dish. Repeat this for all of the enchiladas! When your casserole dish is full, pour the rest of the salsa verde on top (adjust the amount you pour to the amount of sauce you prefer) and sprinkle the rest of the cheese. If there isn’t enough sauce (you can never have enough sauce! ), just add the rest of the marinade on top. 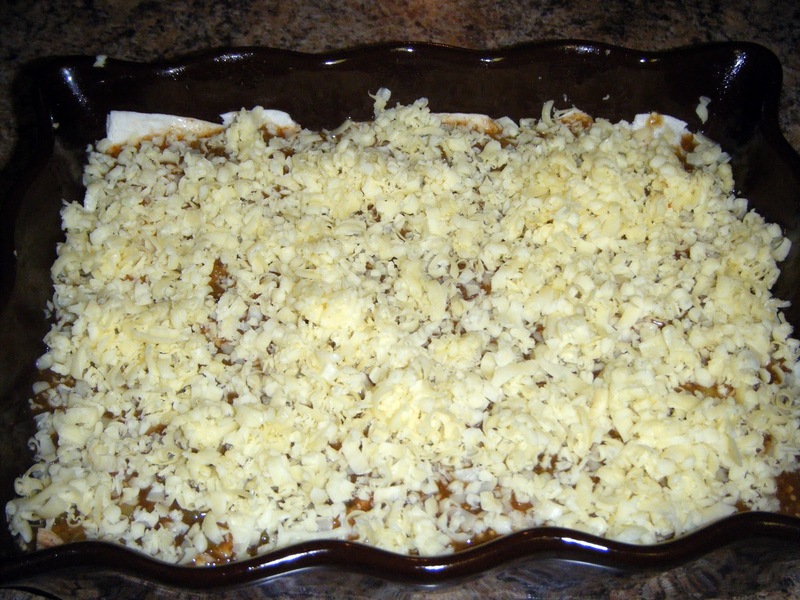 Bake for at least 30 minutes until the cheese is melted and bubbly, last night my casserole took 40 minutes. Remove the dish from the oven, and let it sit for 5 minutes…this step is VERY important if you want to serve an enchilada in one piece. Serve with sour cream, black beans, rice, and if you really need more sauce…salsa! Uhhhh… very tasty looking enchiladas.. Diff flavor to try. This sounds so good! I'm going to have to try this one out!